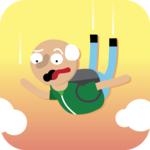 Falling Grandpa — Android App Sold on Flippa: A super fun hyper-casual game. It has made $0.68 so far. Over 350 downloads. A super fun hyper-casual game. It has made $0.68 so far. Over 350 downloads. Falling Grandpa is a fun hyper-casual game.